Some scholars indicate there were well over 2,000 castles in Scotland, but some are only identified through historical evidence as no ruins remain. 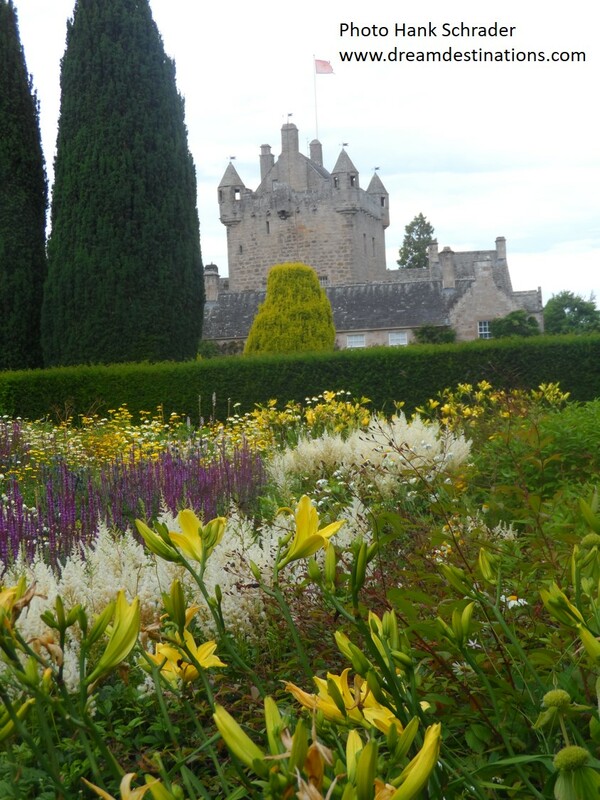 I thought you might like to learn about some of the great castles we have had a chance to visit or see in Scotland, so let’s take a trip together in the misty land of Scotland and see some cool castles and their gardens. Without a doubt, this is the most important and impressive castle in all of Scotland. Built on top of an extinct volcano, the castle complex, is a must see if you visit Edinburgh. The views alone are worth the hike up the Royal mile, but there is much more to see. The crown jewels of Scotland are impressive, as is the Great Hall, the ceremonial room used in the 1500’s and 1600’s. I was also humbled and impressed by the Scottish National War Memorial—a tribute to the over 200,000 dead lost in WW I, WW II and the Global War on Terrorism. Sobering place to say the least. There are three other interesting sites—St. Margaret’s Chapel (the oldest building in Edinburgh, built in 1130) and the huge siege cannon, Mons Meg, said to be able to shoot a 300+ stone 2 miles and the National War Museum of Scotland. Stirling Castle defends the passage between the Lowlands and the Highlands and is said to be the most strategic place in all of Scotland. After two epic medieval battles, the Battle of Sterling (1297, with forces led by Braveheart, William Wallace) and the Battle of Bannockburn (1314 with forces led by Robert the Bruce), the castle became the primary residence of the Stuart monarchs. I have not visited this castle, but got a good picture of it while on our 2017 Azamara British Open cruise. It is the ancestral home of the MacLean clan and occupied for about 400 years. Located on the Sound of Mull, this dramatic castle was ruined in the 1700’s and restored in 1911. Somehow, to me, this is the perfect representation of Scottish castles—isolated, imposing and proud as it stands alone on a cloudy day to protect what is theirs. Located on the Isle of Skye, this castle has continuously been inhabited for 800 years (most of any Scottish castle). It is the ancestral home of the Chiefs of the Clan MacLeod. The ancestral home of the Campbell’s of Cawdor, the castle complex has been inhabited for over 600 ears. 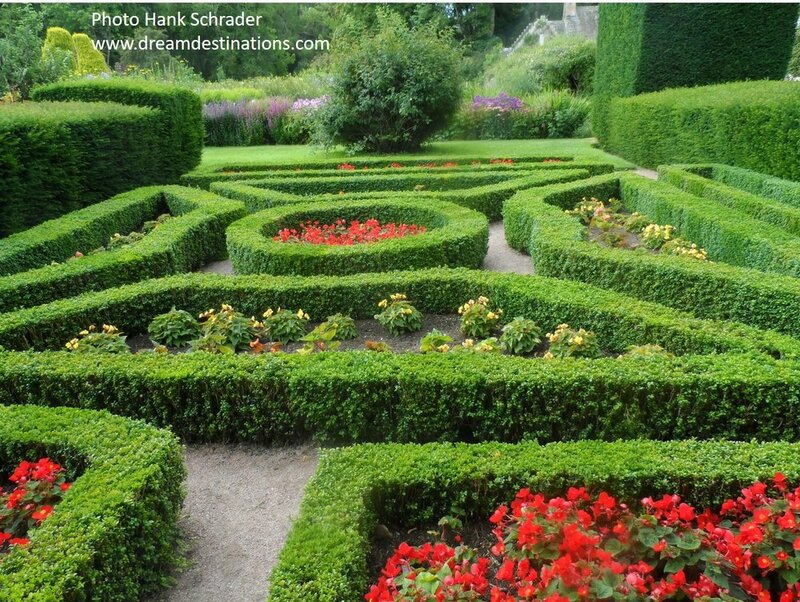 Located in the Scottish Highlands, it is more a mansion than castle, despite its’ outward appearance as a defensive castle, with some awesome gardens. 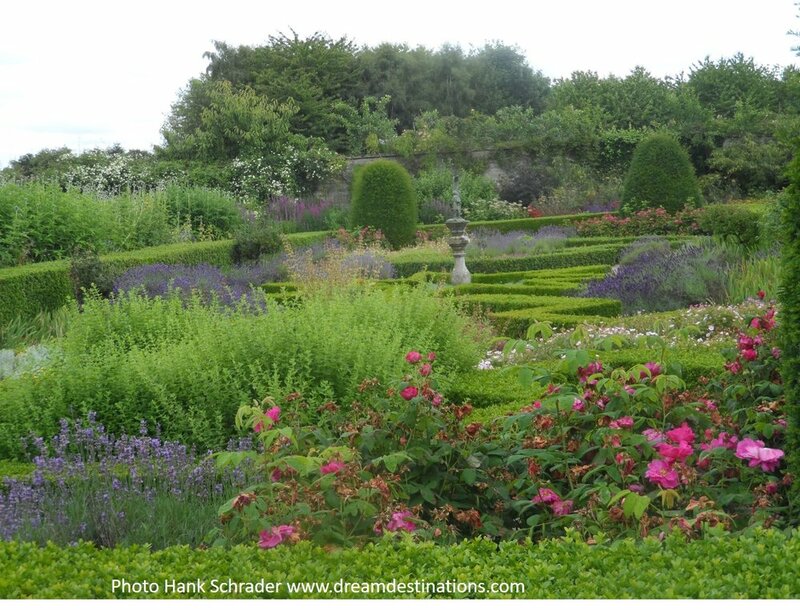 There are 3 garden areas around the castle and worth a visit. Pretty cool pictures in my mind! I hope this has inspired you to consider a trip to Scotland and maybe include a trip or two to one of these castles.